Picture this: Your driver has a full motorcoach of over 60 people, headed across the state to an exciting tourist attraction. Halfway through the trip, the driver sees the glow of red warning lights from the dash – the check engine and tire pressure lights. He pulls over to the side of the road and calls the office, alerting them that he is out of commission – there’s no way he can safely transport his passengers another mile. Movement of any kind would add stress to the vehicle which ultimately adds stress to the passengers… they aren’t getting to where they want to go today. And because they aren’t getting to their destination, it’s likely that another group isn’t either. What is the actual cost of a scenario like this? Missing crucial maintenance events can have devastating effects on a fleet. You may be one of the lucky ones who hasn’t faced this kind of situation but if you have, you’ve learned the hard way how important vehicle maintenance is to fleet operations and overall business success. The trickle-down effect of missed maintenance events is real and has long-lasting and far-reaching consequences. When your vehicles are healthy, they stay on the road longer, rather than sitting in a garage awaiting repairs. 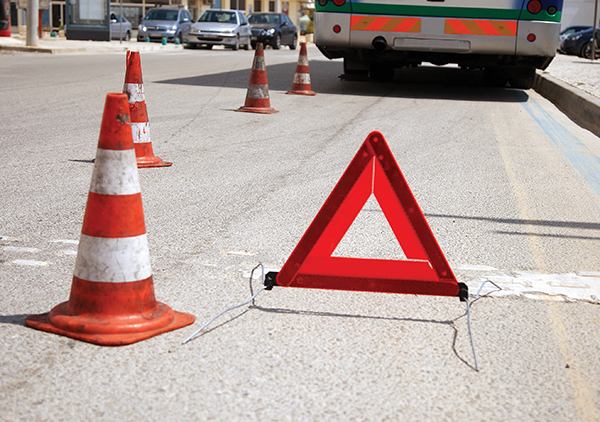 Just like a chain of dominos, one out-of-commission or broken-down vehicle can activate a series of events that impact everything from dispatching to scheduling. Though maintenance can be a significant cost consideration, unexpected mechanical issues or premature replacement costs can be even greater in the long term. Even beyond the vehicle itself, loss of productivity because a vehicle is sidelined due to maintenance issues can leave a mark – and not a good one – on your reputation, customer service and bottom line. Neglecting maintenance for too long can be downright dangerous for drivers, passengers and fellow travelers. Harsh driving behavior, like pressing on the gas a little too hard or relying on the brakes in the nick of time, means extra wear and tear. Worn out brakes, decaying tie rods and failing engines can have pretty serious consequences on your fleet. Safe arrival at the final destination is at the top of your passengers’ and drivers’ minds. Providing vehicles that are properly taken care of, as well as drivers who practice safe driving habits will help them achieve exactly that. Regularly maintaining your fleet of vehicles is a critical part of running a successful business. But sometimes, it’s tempting to put off recommended maintenance, especially if vehicles appear to be running just fine or the up-front expense is just a little too much. Staying on top of regular service events, like oil changes and tire rotations, can help prevent you from spending too much money in the future. Shelling out $50 here or $100 there is much kinder to your bottom line than spending thousands of dollars on a new engine because a few crucial maintenance events went unnoticed. Prioritizing maintenance by knowing how to properly care for your vehicles and creating room in your budget for maintenance costs can help extend the life of your vehicles resulting in getting more done, in a safe manner, with satisfied customers as a result. Using a GPS fleet tracking solution like Fleetmatics REVEAL, you can easily see when vehicles are due for service, keep an eye on spending, and automate alerts to remind you when to take vehicles in for regular check-ups – which helps you keep your vehicles and drivers on the road. Todd Ewing is the director of product management for Fleetmatics. For more information on how GPS fleet tracking can help you improve your business, visit www.fleetmatics.com.